Lawrence of Arabia is a gorgeously filmed 1960s blockbuster starring Peter O'Toole in one of his most famous roles, as well as a bunch of white people with bronzer and eyeliner (aka Arabs). 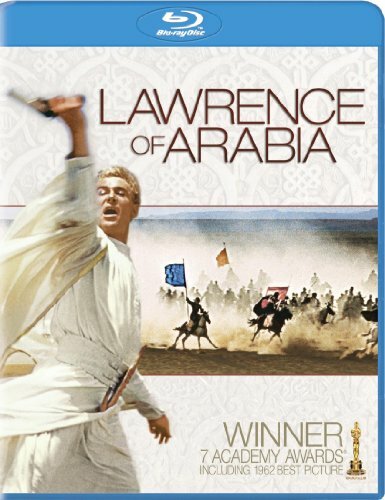 I'm watching this movie on my Surface, which seems like the worst possible way to view Lawrence of Arabia, a movie literally designed to be such a massive and over the top spectacle that it would drag 1960s audiences away from their television sets and force them back into the movie theaters. It's fairly early on in the first world war, and Lawrence is charged with uniting the Arab people in war against the Turks. This is so that the Arabs can win freedom and create their own independent country, and definitely not because its easier for the British Empire to pursue their interests in the Middle East without the Ottoman Empire in the way. It's immediately clear that Lawrence is an incredibly odd bird, especially for the character of a war hero. He's effete, soft-spoken, and somewhat culturally sensitive, although his prejudices towards the Arabs reflect the arrogance befitting a well-bred colonial officer of the British Empire. Regardless, he's certainly not the figure one would expect for a war film with daring escapades across the desert. I find it interesting that cultural sensitivity seems to be a quality that this film, steeped in the last golden days of the British Empire, is celebrating. Lawrence reads newspapers in Arabic, takes the time to learn about the different Bedouin tribes, and is willing and eager to participate in most of their customs. 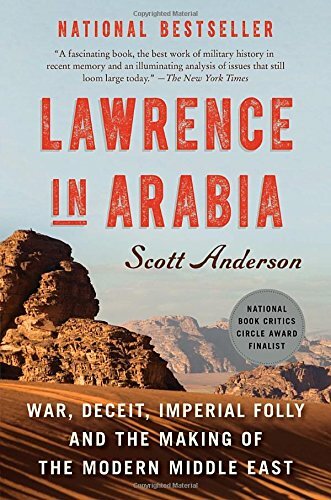 I appreciate the respect Lawrence pays to Arab culture, but he does seem to be romanticizing the desert and its people. It's also easy to get mixed signals when one minute he's waxing poetic about Arabia, then in almost the same breath contemptuously referring to them as a "small people". But then, that's frequently how they are depicted in the film. Sherif Ali, one of the film's main protagonists, shoots a man in cold blood for the crime of drinking from his tribe's well (despite the fact that Bedouin tribes are known for being generous with their resources, presumably because they know how it feels to be stranded in the middle of the effing desert without any water). There's also the unfortunate implication that without the civilizing influence of Lawrence, the Arab forces would descend into childish squabbling, as we see in the disastrous Arab Council. It's only with the help of the white man and the mighty British government can Damascus be managed properly. So that's not ideal. The fairly nasty insinuation is that the Arabs don't deserve their own country and freedom. But I really don't want to spend this entire review talking about Arab representation in this film (even though I clearly could). That's a graduate thesis, not a movie review. But this is a really good article that puts a lot of what this film does with Arab culture into a larger context if you're into that sort of thing. So anyway, back to the actual movie. Lawrence teams up with Sharif Ali (played by the wonderful Omar Sharif, a man who seems to have been made entirely out of charisma) to launch an offensive against the Turks. They have a delightful bromance that is more endearing than it has any right to be. Fun fact: Peter O'Toole nicknamed Omar Sharif "Freddy" on the set of this film because (in his words), "no one could possibly be called Omar Sharif". Which strikes me as possibly the Peter O'Toole-iest think one could say. He was right, though -- Omar Sharif's real name was Michel Demetri Shalhoub (no relation to Tony). But to wage war against the Turks, they need an army. Luckily for them, one is provided by the shrewdly intelligent Prince Faisal, played by an actor who you may recognize for another role where he spent the majority of his time wearing robes in the desert. Obi-Wan Kenobi, you and I both know that you're not Middle Eastern, so let's drop this facade right here and now. Lawrence and his ragtag group begin by attempting the impossible, crossing a desert that has a reputation for being uncrossable. Apparently, all you need is a little can do spirit, because they made their way across it with seemingly little trouble. Yeah, Lawrence valiantly/stupidly went back to rescue a man who had fallen off his camel in exhaustion, but I don't think there were any actual casualties. You'd think they would have showed a few red shirts dying so that we the audience could see how desperate the situation was. It's clear that Lawrence fancies himself living in a modern day version of the Bible. Early on, he compares himself to Moses in his intention to walk across the desert, at one point he asks his followers who will walk on water with him, and he sees himself as the savior as the Arabs. You can tell because of all the crowds of Arabs staring adoringly up at him every time he does something particularly foolhardy, like riding into the desert to rescue one anonymous person that (spoiler alert) he's just going to have to execute for murder later anyway, or letting a wounded Turk shoot at him a bunch of times without ducking for cover or even, you know, walking away from the immobile man. It's kind of infuriating. The scene where Lawrence is giddily playing with his new Arab garb is pretty adorable, though. One imagines that they just get Peter O'Toole drunk (not a tall order in 1962) and let him loose on the desert. 1.) This is a white savior film of the highest order, albeit one with cinematography beautiful enough to make a brave man cry. 2.) There are just straight up no women in Arabia. There are, like, some shrouded figures unidentifiable as females up in the hills that make a weird trilling noise as the troops pass, but other than that, no ladies. Four hours long and not a single talking female type person. 3.) Jesus Christ this movie is long. Anyway, the second half of the film carries on in much the same fashion as the first. Lawrence becomes gradually more reckless and unhinged, and the British army leadership are even less subtle about their intentions in the Middle East. Everything comes to a head when Lawrence's Arab forces and the British army take over Damascus, and the promise of some sort of Arabian democracy is first put to the test. Unsurprisingly, now that they have what they want, the British army is eager to an almost unseemly degree to abandon all of their grand promises to Lawrence's men. Giving the film some credit, it does not try to sugarcoat how shady, manipulative, and dishonest the British dealings with the Arabs were, which is rare for a Western film, especially one from this time period. So what to say about Lawrence of Arabia? Well, it's probably one of the most spectacularly beautiful films I've ever seen. Director David Lean spent a princely sum to have a large portion of the film shot in Jordan, and his dedication to the beauty of his desert locations really pays off. The long, sweeping shots of the pristine desert are particularly impressive. One imagines massive crews combing out the sand to get rid of the footprints, sort of like the stormtroopers in Spaceballs. What's crazy about this film is just how much work that went into it. Putting aside the striking location shots, the large and unwieldy casts of extras in a foreign land, and the sheer number of camels involved, the amount of time spent on making Lawrence of Arabia is staggering. 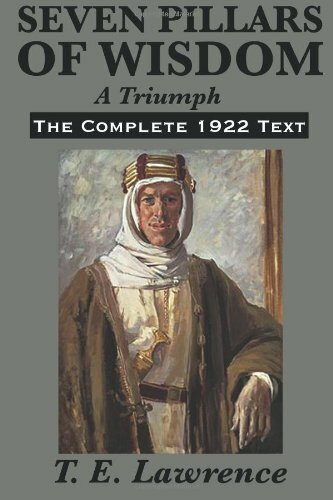 To put it into perspective, it took less time for TE Lawrence to actually do all of the things in the film than it did to make Lawrence of Arabia from start to finish. So after all that, was it worth it? Well, mostly. To me anyway. While I admire the craftsmanship of this film, and the visuals are undeniably gorgeous, I have a hard time getting past the 4+ hour runtime especially when, looking back, there isn't a tremendous amount that actually happens over the course of the film. The narrative flow is all over the place at times, no doubt a result of the very understandable struggle of trying to not only cram all of Lawrence's adventures into one film, but make them fit into some kind of structure. Peter O'Toole and Omar Sharif are both wonderful here. O'Toole successfully brings to life a very bizarre character who you can see develop organically as he deals with new experiences. Sharif brings a natural likability and nobility to his role as Sharif Ali, one that could easily feel one note if played by a lesser actor. Overall, yes, watch it. At least once, if only for the pretty pictures that make you forget how awful deserts are and subconsciously start planning a vacation to one.